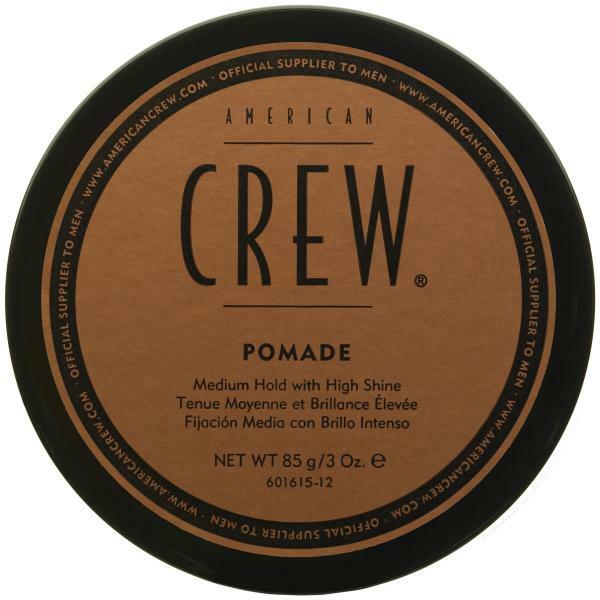 Add texture and definition to your style with American Crew Pomade; a moisture-rich formula that delivers light-medium hold and a low shine finish. Providing moisturising and conditioning benefits, the creamy pomade tames frizz, whilst allowing you to create your desired style with ease and control. No stiffness or sticky residue. Work a small amount evening through dry or towel dried hair and style as desired. One of American Crew's best products! 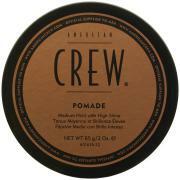 This is one of American Crew's best products. It is not a cream or wax, and should not be confused with one. It's a finishing product. After you've styled your hair rub a tiny amount of this product between your hands, and then run your fingers through your hair to give really good shine and definition.You only need a tiny amount each time, so a small pot lasts a very long time. I prefer Fiber and the Forming Cream. To put it simply, this is a gel, not good for short hair as doesnt have great hold and is extremely glossy/shiny. Does wash out easily, like all other American Crew styling products, not bad if you want a wet look, but as for styling, not much you can do with this one.